Shangri la Studios, Malibu 7th March- 30thMarch 1976. Soundboard stereo except for Disc One, Tracks 1-4 and Disc Two, Tracks 7, 8: Soundboard mono. Disc One: 1. Sign Language , 2. All Our Past Time, 3. Country Jail, 4. Carnival, 5. Tried To Make The Devil Mad, 6. Won t Somebody Tell Me, 7. Big River, 8. Right Now, 9. Right Now, 10. It s Eric s Birthday, 11. Spanish Is The Loving Tongue (Adios Mi Corazon on cover), 12. The Water Is Wide, 13. Idiot Wind. Disc Two: 1. Who Do You Love, 2. Stormy Monday, 3. What Would I Do # 1, 4. What Would I Do # 2, 5. What Would I Do # 3, 6. Hard Times, 7. Tehno Sede, 8. Steppin Out, 9. Jam #1, 10. Jam #2. Eric Clapton is for sure one of the most prolific artists. There are times when there is room to relax when an artist has become such a big name, but it is also rare to find someone that constantly offers works stably from the 1960s to the present. 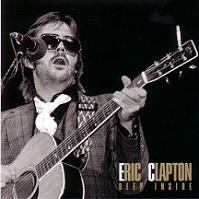 It was in 1970 that finally Clapton released is first solo album after having played guitar in various bands. 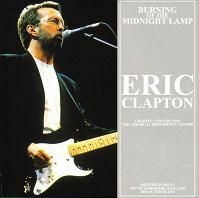 In his first solo album Eric Clapton it is possible to realize that vocals were somewhat thin, but his voice has aged tastefully, maturing album after album. The following one called 461 Ocean Boulevard announced in 1974 has become a number one hit in the United States and is still regarded as the best representative work of Eric. From this album Bob Marley s cover I Shot The Sheriff was cut into a single, this single too became a hit nationwide. Eric, who cared about this success, will adopt reggae extensively with this next album called No Reason To Cry which was released in 1976. The reggae style of the previous work is still here although with a strong female chorus with plenty of pop shades, presented a light rock based on blues. Recordings were held at the Shangri-La Studio in California. Malibu s whose open climate did reflect in his work. This studio was owned by The Band and the session produced by Rob Fraboni, all the recordings happened with luxurious guests. They seem to be kind of a preview of what would happen later the same year with the Band Last Waltz concert. Although the album was not a huge hit, its sales exceeded the previous work. These takes included here were recorded during the sessions for No Reason To Cry. Personnel on these sessions consists of Bob Dylan, Ron Wood, Georgie Fame, Van Morrison, The Band, Jesse Ed Davis, Billy Preston and Melvin ragin also known as Wah Wah Watson besides Clapton and his own band; allegedly also Pete Townshend was there some time. Sign Language music is provided by Bob Dylan, here Dylan vocals are more prominent than Clapton. Eric is also a wonderful vocalist, but cannot but bow in front of Dylan s presence. Also at the same time Dylan himself recorded famous songs like Idiot Wind and so on. The photo showed on the front cover comes from another session, and the photographs with Ron Wood on the back jacket show that Eric s clothes were taken on the same day. This title contains all songs that have been confirmed as being leftovers from the No Reason To Cry sessions where have been recorded with a number of invited players and a great variety of guests. Many of these tracks were just rumoured, but here they are available having been preserved in great shape and can be enjoyed in full. The first 4 songs are not in excellent sound, but from Tried To Make The Devil Mad onwards the sound is much better; then come a couple with Billy Preston, the second of which is a great jam directly dedicated to him by the keyboards player on the occasion of its birthday (30 March) which seems to be when most part of these tracks come from. Then comes a long jam with parts of 3 Dylan songs, Seven Days was also rumoured to have been played here but it is not present here, just like Buried Alive from Ron Wood. Disc Two opens with 2 standard blues played with the help of Van Morrison, then we have Richard Manuel from the Band on 3 takes of What Would I Do, the last of which is a long great blues jam over 21 minutes long, followed by Rick Danko, who was recording his solo album as well at the times in the same studios. The front spot is then given to Yvonne Elliman and Marcy Levy from Clapton s own band, followed by 1 song from Levon Helm and 2 instrumental jam sessions. Packaging is quite nice with all details on back cover, however it is not clear why No Reason to Cry is written in parenthesis.